At LifeSaver training we provide a wide range of Emergency First Aid courses which are aimed at the scuba diving industry. 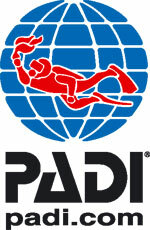 All below courses are PADI affilated and approved. The course is designed to equip divers with the skills and confidence to deal with life threatening emergencies. Participants who successfully complete this course will gain a PADI EFR certificate which is valid for two years. This course is aimed at current Emergency Responders with a view to refreshing their CPR and First Aid skills. Candidates who successfully complete the course will gain renewed status as an Emergency Responder. Participants of this course will use their current knowledge of EFR to learn how to structure lessons and teach Emergency First Response Primary Care (CPR), Secondary Care (First Aid) and Care for Children courses. This course is aimed at individuals who are currently qualified to teach Emergency First Aid procedures with other organisations and wish to receive PADI Emergency First Response Instructor status.